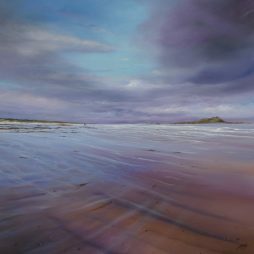 Allison graduated from Edinburgh College of Art in 1988, with 1st class honours, before doing a postgraduate there. After that she spent a year in Lodz, Poland, studying art at the Art College there on a British Council Scholarship. Allison now has a studio with WASPS in Edinburgh and exhibits regularly all over Scotland and in London. 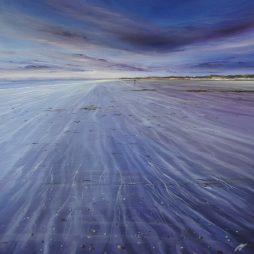 Her work is based on all the places she goes to walk and cycle, with emphasis on East Lothian and the Western Isles and Inner Hebrides. Allison also made a 2 month-long visit to a studio in Scalloway, Shetland, where the winter weather creates incredible skies.